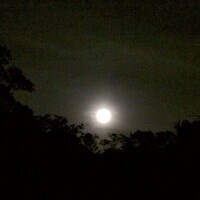 Howl at the moon during this moderate, 2 mile night hike on Laurel Mountain. Learn about the history of Halloween, spooky stories around the Forbes, and listen to things that go bump in the night! Participants must be at least 18+ years old. Fresh, local apple cider will be provided after the hike. For more information or to register, contact rmahony@pa.gov or 724-259-2201.